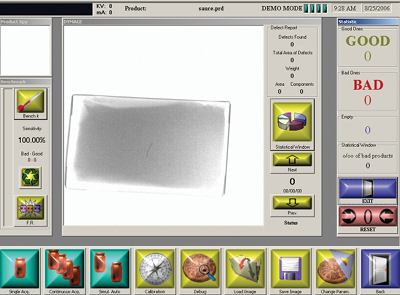 The UK’s national synchrotron facility, Diamond Light Source, based in Didcot, Oxfordshire, is the first and only place in Europe where pathogens requiring Containment Level 3 – including serious viruses such as those responsible for AIDS, Hepatitis and some types of flu – can be analysed at atomic and molecular level using synchrotron light. This special light allows scientists to study virus structures at intense levels of detail and the new facility extends that capability to many viruses that have a major global impact on human and animal health. 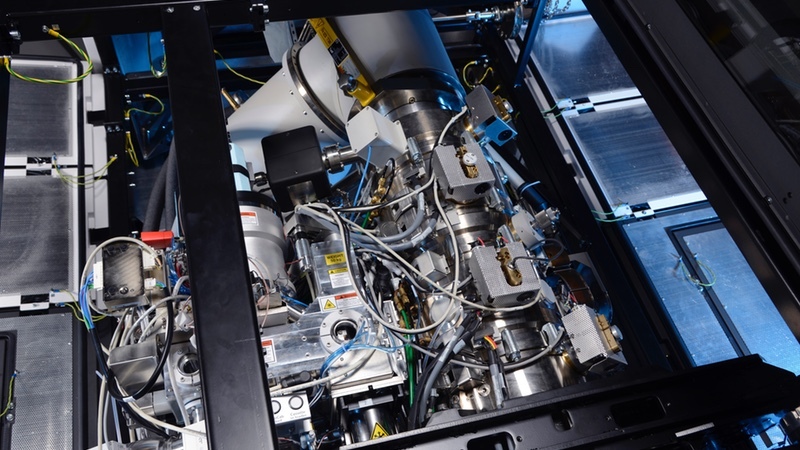 Diamond Light Source says studying pathogens in this way has the potential to open up new paths for the development of therapeutic treatments and vaccines. Presenting at the American Association for the Advancement of Science (AAAS 2013) meeting in Boston on the latest virus work undertaken at Diamond, Professor Dave Stuart, Life Sciences Director at Diamond Light Source and Professor of Structural Biology at Oxford University, launched the new lab, called Crystal, which will help scientists delve into the inner workings of pathogens and uncover the mechanisms of infection. “Crystal provides unique facilities in Europe for the study of serious viruses. 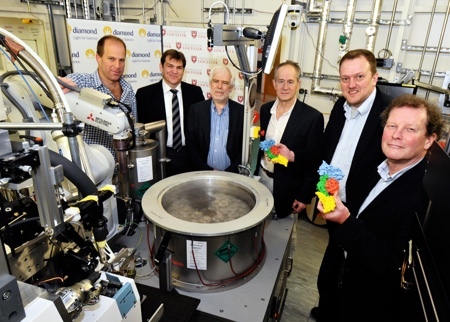 Nowhere in the world can structures be so readily solved with the speed and efficiency that is now available at Diamond,” said Prof Stuart. Diamond already has a strong track record of studying viruses at lower levels of containment. In 2012, scientists at the company determined the structure of the virus that causes hand-foot-and-mouth disease, which can cause severe central nervous system disease in children and poses serious public health threats across the Asia-Pacific region. The Chinese Ministry of Health reported some 1.7 million cases in 2010, and there is no vaccine or therapy available. 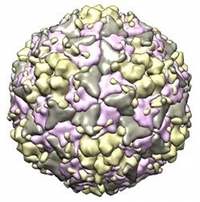 An Anglo-Chinese collaboration used the facilities at Diamond to solve the structure of the Human Enterovirus 71 (EV71), which is the root cause of the disease. 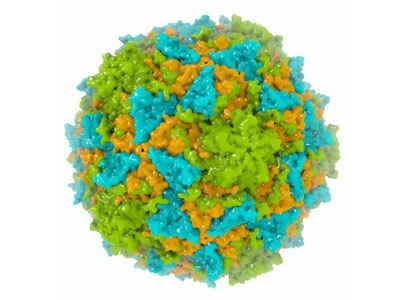 Using synchrotron light, the team was able to visualise the virus in different states and collect a series of structures, from which they were able to uncover a detailed picture of the virus’s actions in sequence. 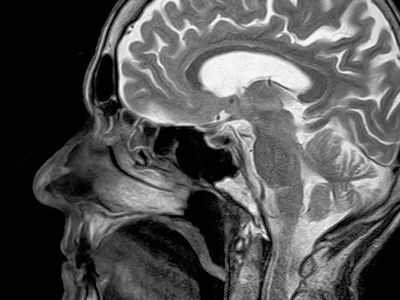 Such visualisation requires specialist microscopes X10,000 more powerful than standard laboratory microscopes. This achievement creates new opportunities for therapies being developed. Crystal at the Diamond synchrotron enables researchers rapidly to visualise viruses in their entirety and at incredible scales. 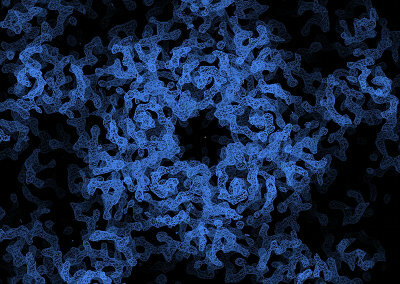 By identifying the virus structure in atomic detail, scientists can target research into vaccines and anti-viral drugs. Diamond Light Source is funded by the UK Government through the Science and Technology Facilities Council (STFC) and by the Wellcome Trust.